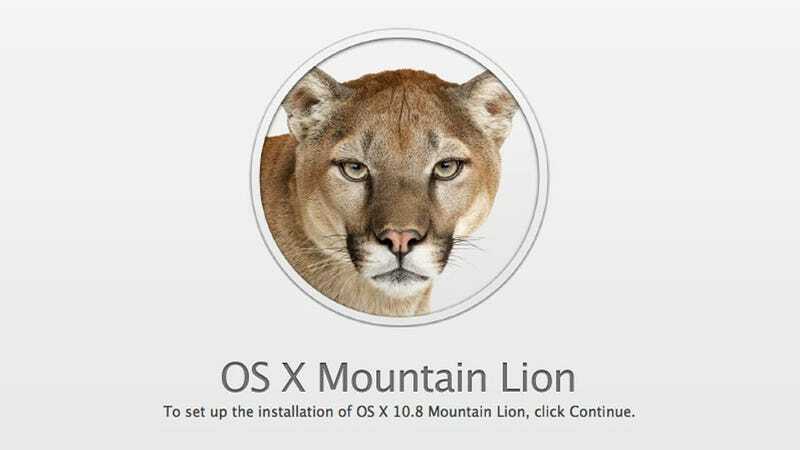 We saw a fair amount of OS X Mountain Lion when Apple dropped its developer preview a few months ago. And not only will the $20 download bring all the iOS-ified features promised to all the OS X machines you own, it will also serve up more than 1700 new APIs, added iCloud functionality, a redesigned Safari, Siri-like dictation capabilities, along an all new feature—Power Nap. Power Nap is the OS X method of connecting to an open network when the lid is closed, then backing up your hard drive and refreshing app data—presumably tweets and emails—all while the computer is asleep. It's power-efficient, which your battery is certain to appreciate, and will work with second-generation MacBook Air's, as well as the next-gen MacBook Pros with Retina Display. The iCloud functionality has already been documented, working to sync notes, calendars, reminders, messages, email, music and more, but there's a new one added today: Documents. Documents in the Cloud has already been available for iOS devices, but will now be integrated into the desktop platform as well. There's also a new feature called iCloud Tab, which will show other tabs that are open on other Apple devices, ensuring you're synced up across the web. Dictation is said to be integrated throughout the OS, and will be integrated everywhere, including notification center (think along the lines of responding to tweets and emails with your voice). Safari, meanwhile, has been redesigned to function much like Google's Chrome browser. That means the search and URL boxes have been integrated into a single field. Safari also has new functionality called TabView, which will splay out all your tabs expose style. Apple claims that the new Safari is faster than its competitors, including Chrome, Firefox and Internet Explorer. The main goal of the Mountain Lion update will be to bridge the gap between the traditional interface of OS X, and the touch-friendly design of iOS without forcing either operating system to run on a set of hardware it wasn't designed for. The two platforms will share features such as Notes, Calendar, Notifications, Reminders, Messages and iCloud, but will very much remain separate entities in both its user-facing design and technical underpinnings. This is something of a contrast to what Microsoft is trying to accomplish with Windows 8, which was designed to run on tablets and PCs alike, with few tweaks made to the actual software. For those who plan to buy a new Mac today, don't fret—the Mountain Lion upgrade will be free when it comes out later in July. Oh and if you're a developer, plan on seeing an all new preview build later today.